← WINNERS Announced . . . Thanks for the HELP! So I have this group called The Darlington Society. They’re not a huge group but they make a lot of noise. And they encourage. And they pray. And they support. And they get something in return, too. To answer a few questions . . .
What is it? 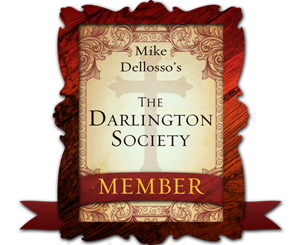 The Darlington Society is a group of readers formed to support and encourage me in my writing. But it’s so much more than that. It consists of individuals from various countries with various interests and opinions and backgrounds. They chat, they pray, they bounce ideas around. It has become an entity of its own. What do they do? Well, in short, they review my books, help spread the word about my writing and activities; they get encouraged, share struggles and prayer requests; they get questions answered and get an inside view of how the publishing process works. They’re my inside team so they know news before anyone else. Interested? Membership is always open. Bottom line: if you enjoy my books you’ll enjoy this group. You can be as involved as you want to be, there’s really no pressure. Just drop me an email or leave a comment below and I’ll be in touch. Oh, by the way, you can read about more of the details on this Darlington Society page. Posted on June 19, 2013, in The Darlington Society, Writing craft, Writing Life and tagged Author support group, Fan group, Reader group, The Darlington Society. Bookmark the permalink. 9 Comments. This sounds Amazing! I’m really excited! I’d like to join, Mike. Ever since the 90s TV series, Millennium (one of my favorite shows) debuted, I’ve always wanted to belong to a society. However, I now have two deadlines of my own (yippee! 🙂 ), but I’d do what I can for you. I love your books and books in general and would love to be a part of your creative process/support team. Keep up the great work. Sounds wonderful :). I’ve signed up. Is it how you become a member? Greetings, Beata. “Just when I thought I was out, they pull me back in” LOL!! Mike, I really want to be a part of this group. Please mark me down man! Would like to join. Your writing fasinates me and scares me to deatb at the same time. Scream is my all time favorite. Don’t pass up this great opportunity to be a part of Mike’s Darlington Society, especially if you like thrillers! The opportunity to pray for him is a wonderful honor.